This elegant step 'n roll edge solid walnut plaque with plate is at home on any wall. The step 'n roll edges gives it a nice classic look while the green and gold highlighted square engraving plate completes the award. 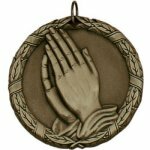 This award measures 7" X 9" and the 5" X 7" engraving area has plenty of room for whatever your personalization needs might be. After you have added this item to your cart, you can modify any the plaque or plate selection to meet your budget and style. 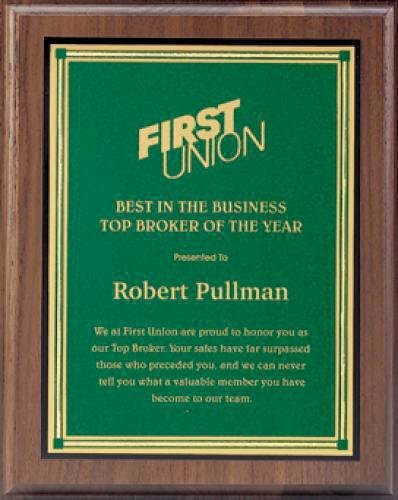 Your recipient wont believe their eyes when they see this award! 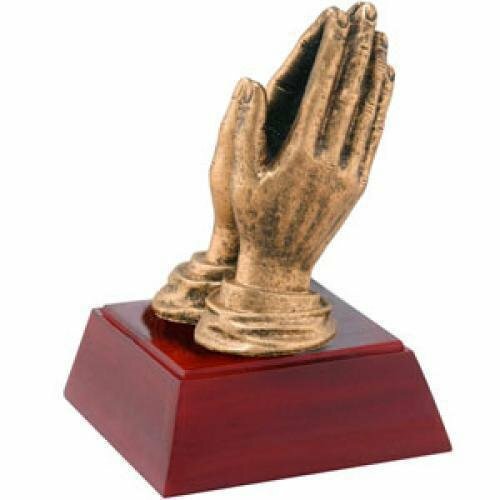 This Praying Hands award is very unique. 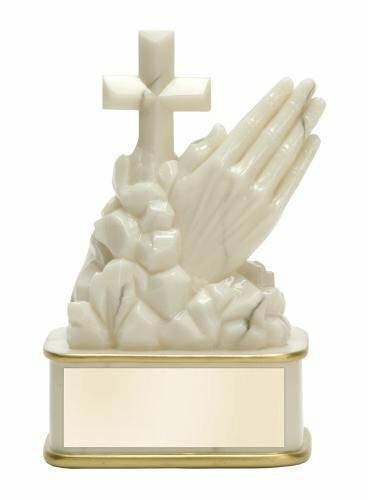 A Cross is shown behind a pair of Praying Hands all of this in an elegant white marble finish giving this piece the look of a carved award. The award stands 7" tall and the base has plenty of room for whatever your personalization needs are.